As we head into another wet weekend with the forecast looking like somehow has left the bath running upstairs at least you have the knowledge that The Climbing Works is fully open. 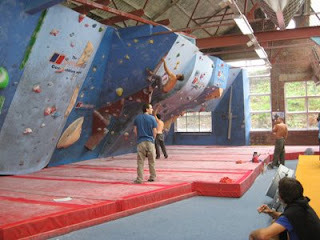 The competition wall has reopened (with new problems) and in the last few days a new brown Font 6b circuit has been set. So plenty to go at.